There are three types of cameras to consider as you look for something to capture your kids’ moments. Sure, a smartphone will get the job done, but when it comes to printing enlargements, zooming or anything that moves, a camera that can also take phone calls just won’t cut it. Here are things to think about as you look for something that will let you get the moment, but won’t take up too much space add to much weight to your day. Point-and-shoot cameras in the $100 range that you see languishing in sad big-box store camera displays will not get you better picture quality than your phone. Sure, they can claim some optical zoom, but usually their sensors and image processors are even less sophisticated than your phone. Sometimes, you’ll actually get worse quality. For instance, both the Canon PowrShot ELPH 180 and Nikon COOLPIX A10, the cheapest point-and-shoots from the major manufacturers, shoot less-than-full-HD video at only 720p. When the iPhone 4 could do full HD in 2011 and had a touchscreen Retina display to boot, to not have any of these things in 2019 is pretty unacceptable. Higher-end phones such as Google’s Pixel series even incorporate all sorts of computational imaging technology that helps them leap over what’s available in a compact camera. While there’s the crowd screaming about how good superzooms such as Nikon’s COOLPIX P1000 are, chances are you won’t need that much zoom for a family photo camera. The price point of these cameras aren’t very family-friendly either. The $1000 for the P1000 for instance goes a lot farther in the other categories here. While some case could be made for rugged compact cameras such as the Olympus Tough TG-5 camera that’s freeze-proof, water-proof shock-proof, crush-proof and dust-proof, many phones are catching up to this level of protection, and so these qualities lose their value without an added bonus in image quality to go with it. If you got a cheap compact camera for Christmas, I'd find a way to kindly ask for a gift receipt. The 1" sensor-size premium models such as a Canon PowerShot G3 X used here will give you much better image quality than a cell phone, and are small enough to carry around for a day trip with the family. You just can't get this photo with a cell phone. There are a lot of compact cameras out there that are packing larger sensors, such as 1” or APS-C size. While I love fixed lens compacts such as the Fuji X100F, a prime lens isn’t always the best for a family outing. Capturing the kids and the scenery doesn’t always allow for zooming with your feet. There are a lot of options here, from super zooms with 1” sensors to extremely compact options with the same. I’ve spoken with my dollars here, owning a Canon PowerShot G3 X for when I want the long zoom (like say, the zoo) and the compact G9 X for when I want something small to throw in the baby bag. I labeled this category “Premium” because of that sensor size I keep harping on. The 1” sensors in both of these cameras will give me significantly better image quality compared to a cell phone or the compact point and shoot category above, which makes these cameras worth carrying around. Sony and Panasonic also make great cameras in this category, with the RX10 (at an eye-watering $1700 for the latest model, but much better pricing on the still-decent older models), RX100 series, and Lumix LX10. Panasonic even managed to stuff an even larger Micro Four Thirds sensor into its LX100, and I’m definitely a fan of those even larger sensors in small packages. The only caveat to this class of camera is that while image quality definitely punches above its weight here (the G9 X is literally the size of a deck of cards), autofocus tech just isn’t really there. Despite what marketing materials and all the fancy green boxes on the screen tell you, if you have particularly squirrelly children in all but the best of light, you won’t really be able to keep them in focus. It’s for this reason I recommend this class of cameras to those with young, inert children. A 3-month old won’t escape from your grasp and run away from the camera, and so this is perfectly acceptable in that case. As my kids have gotten older, and more mobile, I’ve found myself gravitating towards the next category. Yes, I used to lug around a Nikon D610 and only the finest portrait lenses such as the 85mm f/1.4. It was dumb. Not from an image quality perspective, but from size and weight. I couldn’t fit things into a small bag carried double the bags and weight. I ended up enjoying my experiences with the family much less. Even my Fuji lenses are a bit much for a family outing. I also tried DSLRs with pancake lenses, such as a Canon 6D with the 40mm f/2.8, but that proves to still be a bit unwieldy. Fast kids require cameras that can keep up, and so mirrorless options are good for keeping the kit light while still being able to effectively autofocus and produce better quality photos than a phone. This was shot with an Olympus OM-D E-M10 Mark II. And so I’m finding that the ideal camera to take in the go bag with the kids is something Micro Four Thirds-ish. I often speak of the fabled Panasonic Lumix GM1, which is still an absolute gem if you can find one, but I’ve also gone with the slightly larger Olympus OM-D E-M10 Mark II, which for the small weight penalty over the GM1 adds an electronic viewfinder, in-body image stabilization, an articulating screen and much better controls, if not better image quality. The big advantage to carrying something in this range is that you get much better autofocus capability and the ability to use a small, compact lens when you’re on a day trip with the family. However, by being able to change lenses, you can also carry lenses with more capability when needed. So if we’re keeping score, save your money and use your phone if you’re considering a cheap compact camera. Those models are just not worth carrying the extra device, but things really start to improve when you step up to 1” sensor premium compacts and interchangeable lens cameras. 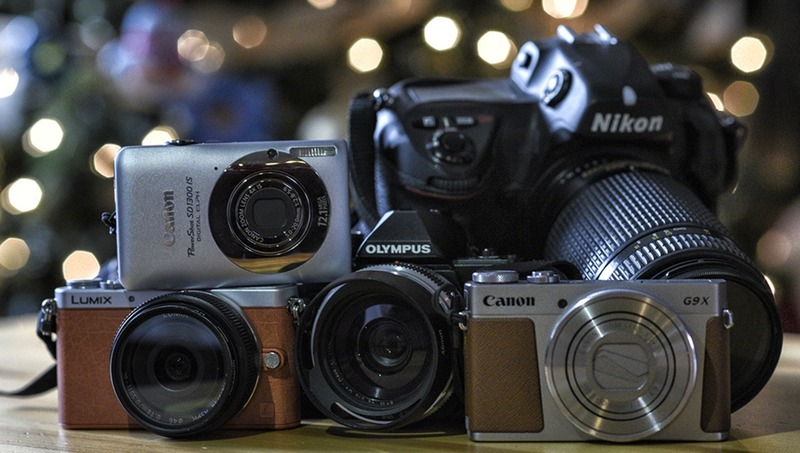 For the particularly fast kids in your life, you’ll really want a mirrorless model. I have a combination of both, and these days, the DSLR only really comes out for formal family portraits. Are you a parent? What do you carry when you’re out with your family? Came here to say this. Unless they're interested in photography as a hobby, or they want to photograph their children's sports, they should just take their camera budget and spend it on a smartphone upgrade. Most parents just want to take a picture of their kids from a few feet away and share it on Insta/FB, and smartphones are MUCH, MUCH better at this. They focus faster than the E-M10 II, and could produce at least as nice background blur as shown in the last shot in this article. They should then put their energy into styling, lighting, posing, storytelling, etc., all the artistic aspects of photography, instead of learning about camera gear. You either use a Phase One or you don’t love your kids. They deserve nothing but the best! yeah, try to tell your wife about it.. I have been on several trips (vacations and amusement parks) with my two little ones age 2 and 4, and they are a hand full. 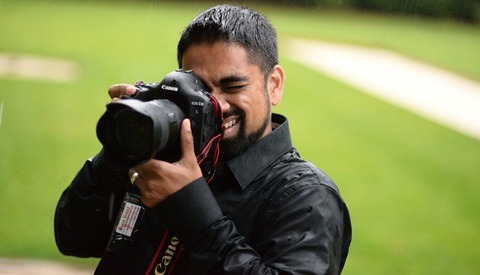 What works for me is my lowepro flipside 300 with my 70d and 2 zoom lenses. One wide and one tele. The aps-c lenses are lighter like the 17-55 2.8 and 55-250mm stm combo and will cover every situation and i dont have to swap lenses often. there is also room left in the back pack for other 'stuff'. Since i have kids i ditched the camera strap because it swings and gets in the way. 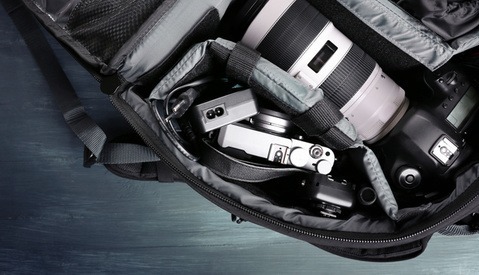 I use the peak design clutch and capture to keep the camera close to my body on the back pack. I cant stress enough how much of a game changer the peak design system is. I still enjoy myself and spend time with the family with out obsessing over pictures. check out my recent portland trip https://flic.kr/s/aHskM3ngcm still had fun and the gear did not get in the way. I think you're missing out if you don't go back and check out the RX10iv. Its head & shoulders above any that you've mentioned (and other ASP-C's that I've tested, after having kids). Additionally this is coming from an avid/rabid Pentax (best IQ cameras) user... whose K1, K3II, & 13 lenses have been gathering dust since going Sony. The AF & FPS are insane (soccer & taekwondo), IQ is just as good (in proper light), has the heart & engine of the a9. Best part, didn't have to invest into another camera system. Have all the lenses already on it (I don't see myself going ILS ever again, from any brand). IMHO, the perfect parent camera.... & beyond! That Sony looks insane! I Too pricey for me to swap to right now lol. That zoom range is nice. It seemed pricey to me too until I considered I'd have every single lens I'd ever need, and more, already on it. That Zeiss lens is beyond sharp. I'm cured from GAS, finally! I use the Canon G7X mark II for family purposes. It's very hard to follow my 2 year old boy with a 5d mark IV and a prime lens, he moves so much that focusing and framing in the lapse of a second is almost impossible. The Canon G7X mark II is the safest choice, if you know how to use it you can take some beautiful photos that looks like a DSLR and it is far superior than an smartphone every single time. Currently looking for a small camera with decent senor size that has a selfie screen, with IBIS and sealing of any sort. I would go Fuji, Olympus or Panasonic. 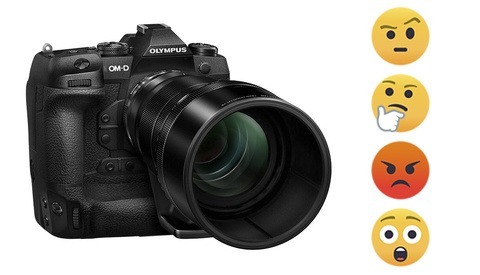 Fuji will give you the better image quality (to my eye anyway) but the Panasonic/Olympus models have way smaller lenses.